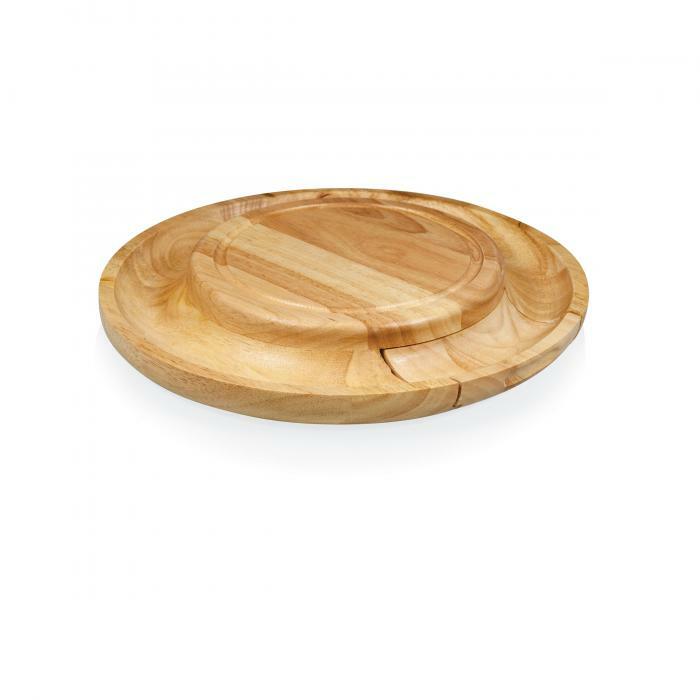 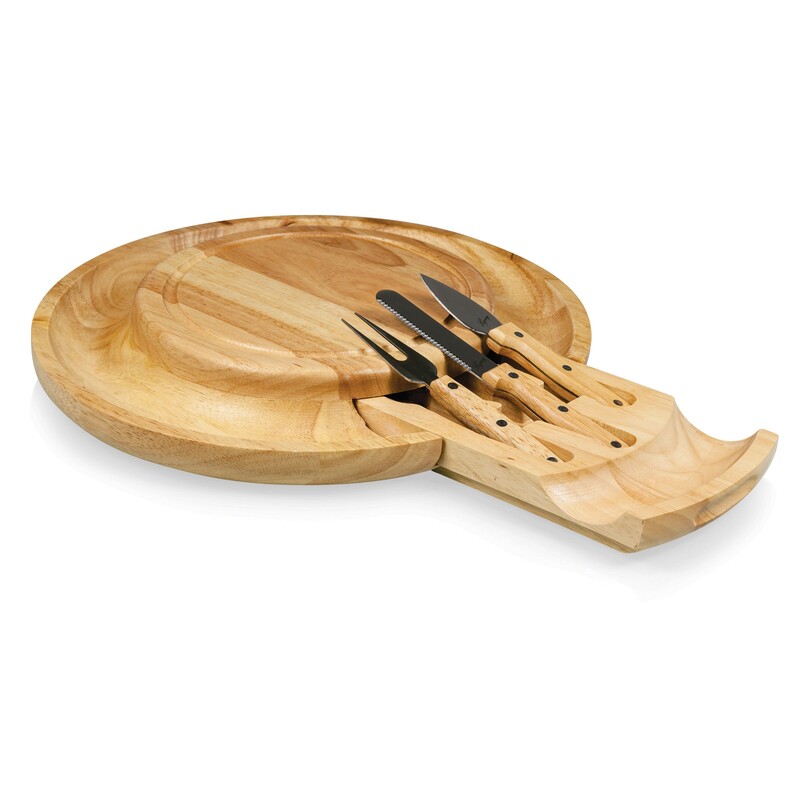 Combination cheese board and serving tray with three cheese tools in pull-out drawer built into side of board. .
•Size: 13.4" diameter x 2"